As a food truck owner, you’re always on the go. That’s why it’s critical that you have the right insurance coverage from the very start, protecting your business from unpredictable risk exposures. And as you move to a different location, a new venue, or event, chances are you’ll be required to provide proof that you have the proper insurance in place to conduct business and serve customers. In the world of insurance, this comes in the form of a certificate of insurance (COI). In this Food Truck 101 Owner’s Insurance Guide, we’re going to demystify the COI and help you understand why you’re asked to produce them as part of your food truck business. We’ll also explain what you need to look for and how to cost effectively get the insurance certificates you need – when you need them. A certificate is an important document and part of doing business as a food truck owner. In fact, most property owners and event planners will require that you produce this type of documentation prior to allowing you to participate in an event, or when conducting business on privately held property. For example, if a property owner requires you have a $1 million dollar liability umbrella in addition to your commercial liability coverage, this will be evidenced on the certificate, allow you to comply with the property owner’s vendor requirements. It’s essentially a summary of your coverage that’s less cumbersome than lugging around your actual policy, and can be produced quickly and efficiently by your agent. In many cases, you may also be required to add an additional insured (AI) onto a certificate of insurance. An additional insured is a person, firm, or other entity that when endorsed onto your insurance policy, is extended the same protection as your food truck business. It simply protects the venue, event, or property owner from bodily injury or property damage that you may cause while conducting business at the event. In fact, in many cases an event that’s on city or county owned property will often require to be added as an additional insured onto your policy. You’re at an event setting up your food truck and a customer trips and falls over a power cord left out by one of your employees. If your customer is injured, chances are the customer will file a lawsuit against your business and the event provider, claiming you were both at fault for not providing a safe environment for patrons. For this reason, you’d be hard-pressed to partake in events and certain venues without producing a certificate naming the third party as an additional insured. When shopping for your food truck insurance, be sure to ask whether or not if there is a cost for adding an additional insured onto your policy. This can often be critically overlooked factor when trying to control insurance costs. Some agents may tell you that there isn’t a problem to add and additional insured, but what they may not tell you (or may not know) is that the insurance company will charge you for each certificate. So when you consider that many insurers charge between $25 and $100 per certificate, this can add up quickly if you attend multiple events throughout the year. Fortunately, there’s a way to control these costs. When shopping for insurance, be sure to ask your agent if you’ll have to pay for each additional insured or if they offer a “blanket” coverage option. Having blanket coverage means you can add multiple additional insureds without the additional charge. 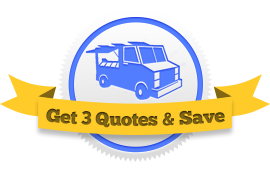 Because we understand the industry you work in every day, at Food Truck Insurance HQ we offer a variety of coverage options to meet the needs of your food truck business, including the option for blanketed AI coverage. We can show you how easy it is to get the coverage you need at a cost effective price.